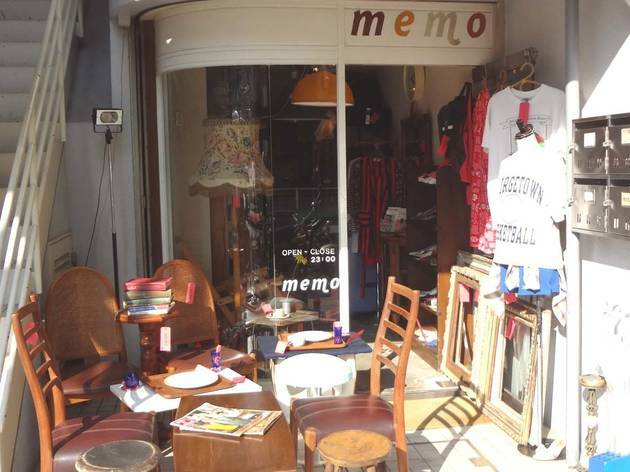 Located on the Hiroo side of the Shibuya River in between Shibuya and Ebisu stations, Memo opened in 2005 as an 'intentionally quirky' recycle store dealing in secondhand furniture and clothing. 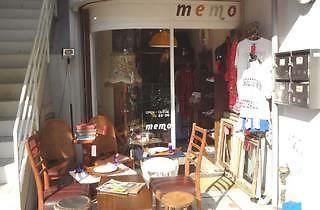 Antique pieces line the entrance, while the interior is decorated with '50s lampshades, toolboxes, suitcases, tables and the like. The wearables range from T-shirts and hats to sunglasses – perfect for putting the finishing touches on your vintage style.